I am taking a Yin Yoga Teacher Training and learning all kinds of interesting things – well, I find them interesting. But first, as a reminder: Yin Yoga generates Qi flow through the body, in particular the areas of the lower spine, hips, and pelvis. If you are inclined to believe in Qi then Yin Yoga is a way to get it flowing and help to release latency from the meridians. Yin Yoga also helps develop and maintain health of connective tissues. In addition Yin Yoga helps cultivate stillness in the body and mind to help prepare for meditation. I am not so attached to the meditation prep as I am to just the fact that Yin Yoga allows and even requires the body to be still and I think that the society in which most of us live we need to have moments of stillness. Our minds are always so full and busy it they need a rest. One way to help quite the mind is to still the body. Qi flows along meridians. Meridians have starting points or Jing Well Points. Jing Well points are where the energy arises. Jing Well Points of the Sinew Meridians in the foot are for the spleen, liver, stomach, gall bladder, bladder, and kidney. 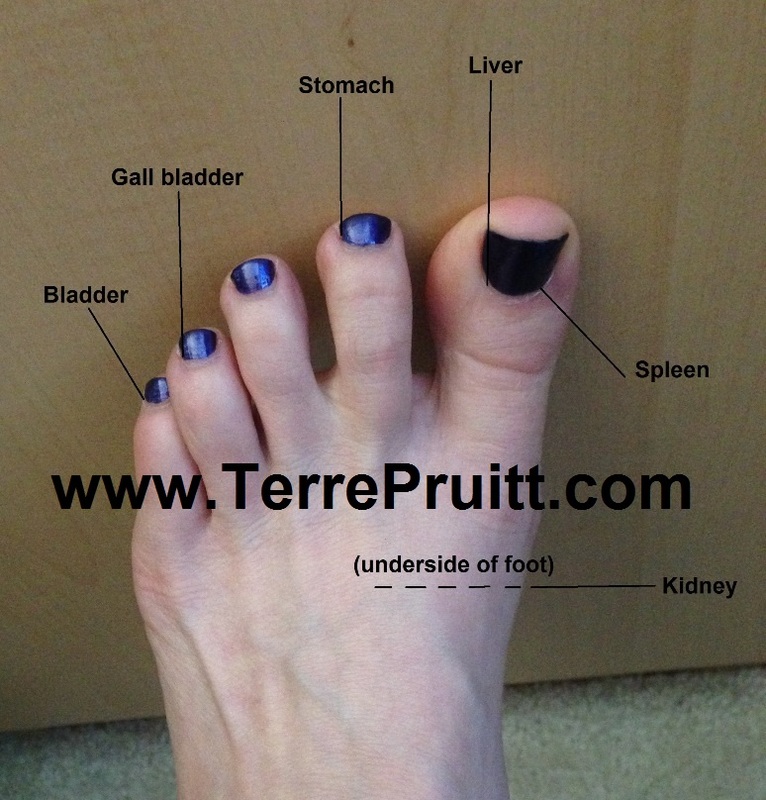 The spleen meridian starts at the nail bed of the median side of the big toe. The liver sinew meridian starts at the nail bed of the lateral side of the big toe. The stomach meridian starts on the lateral side of the second toe. The gall bladder meridian is on the lateral side of the fourth toe. And the pinky toe is where the jing well point is for the bladder meridian. We are calling these meridians the leg meridians because they run up the legs to points in the body. There is also the kidney jing well point which at the level of underneath the ball of the foot and over between the second toe and the third toe. Pressure on that spot will stimulate the kidney. The Sinew Meridians circulate along the periphery of the body. They are superficial and follow the lines of the major muscle groups. The primary meridians are deeper. As I mentioned in my first post about Yin Yoga, the Sinew Meridians are more of an area and can be targeted with Yin Yoga. The Sinew Meridians do not connect to the internal organs and originate externally at the jing well points. The spleen, liver, and kidney meridians are Yin meridians and run on the median side of the legs. The stomach, gall bladder, and kidney meridians are Yang meridians and run on the back or outside of the legs. While I am only showing one foot and stated that these are the meridians in the foot, it applies to both feet. What about you? Do you find any of this interesting?